The advent of cloud computing in recent years has sparked interest from various institutions, organisations and users who wish to take advantage of its features. 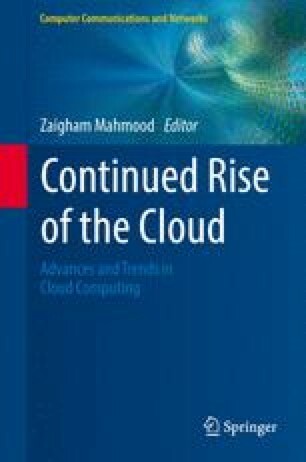 Cloud computing provides on-demand computer resources as a service, enabling flexible information technology (IT) usage via scalability and a cost efficient (pay-per-use) approach. As well as traditional cloud computing services (software, platform and infrastructure as services), there is an emerging concept which integrates knowledge organisations and knowledge management. The Knowledge as a service (KaaS) is delivered via knowledge markets within a cloud environment. In this article, the authors present and analyse the KaaS concept together with its advantages and disadvantages. Furthermore, after an analysis of eLearning environments in the UK higher education institutions (HEIs), the potential KaaS benefits in the UK HEIs are also presented, demonstrating how KaaS conceptual models from industry could be used in the UK HEIs. The underlying theory behind KaaS is also discussed, with the conclusion highlighting potential opportunities and benefits that KaaS can provide to the UK HEIs. The authors would like to thank the University of Huddersfield for providing the facilities to carry out this study. Open Grid Forum (2009) Cloud storage for cloud computing. Storage networking industry association. http://www.snia.org/cloud/CloudStorageForCloudComputing.